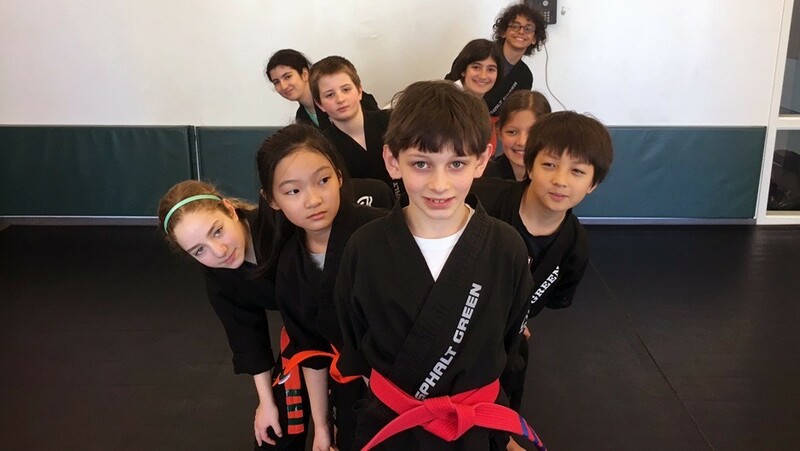 It only took one class to hook 11-year-old Christian on martial arts. You could see in his eyes something clicked, and he was eager to return. Prior to finding the sport, his dad, Alfredo, says Christian was hesitant to try new things. Leadership is one of the 12 Pillars of a Champion instilled in students each month. 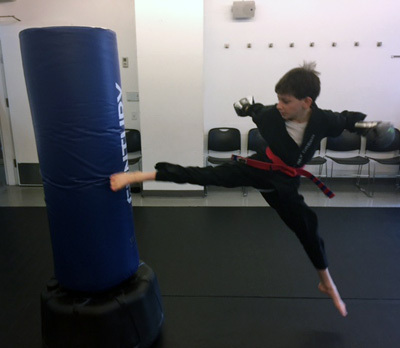 It was the theme for March and a trait Christian has greatly improved upon since starting the sport in fall 2013. As the color of his belt improved, so did his leadership skills. Christian’s leadership qualities extend beyond the mat. His parents have noticed a change in the way he carries himself at home and school as well. Once tentative to lead, he now enjoys taking the reins when assigned small group projects in school, and many seek guidance from Christian. Most recently, he stepped up to speak to younger students about facts on ancient Egypt. In turn, he has become more social during school hours, which has led to more friendships. At home, Christian has been particularly helpful with his younger sister. Q: How would you define leadership? A: Leadership is setting an example for others by showing what the right thing to do is. It is about always giving your best, even when you are not feeling your best. My dad told me this: Always give 100 percent of whatever percent you have that day. Some days, you will only have 75 percent inside. That is OK, as long as you give all 75 percent. Q: How do you use leadership in martial arts? A: I always say, “good job,” to my teammates after they do something. When we are doing grappling drills and my partner needs help, I will help them. Q: How has becoming a leader helped you improve in class? A: When I practice leadership, I challenge and push myself to always improve and do better than I did the last time. Q: What do you love most about martial arts? A: I love grappling and meeting new people. Everyone works together to achieve a goal, and that goal is to get better. When we work together as a team, we become closer, not just as martial artists, but as friends.